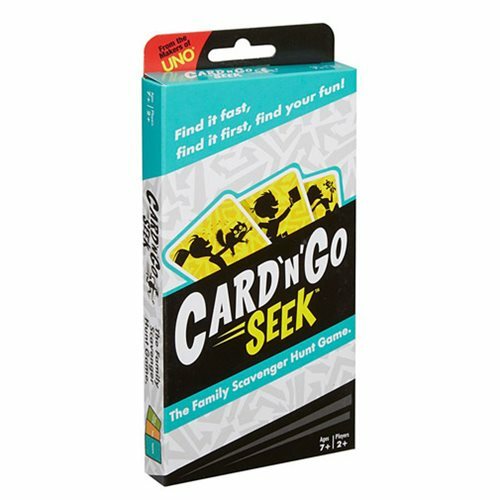 In the game of Card ‘N' Go Seek, speed and intuition are key! Dart off to find an item revealed on one of the cards. It's up to you to decide what the cards mean. The something sweet can range from candy to your sweet aunt Helen. The first player to win one card of each color or three cards of the same color wins! This game includes 150 cards, a portable plastic case, and instructions.